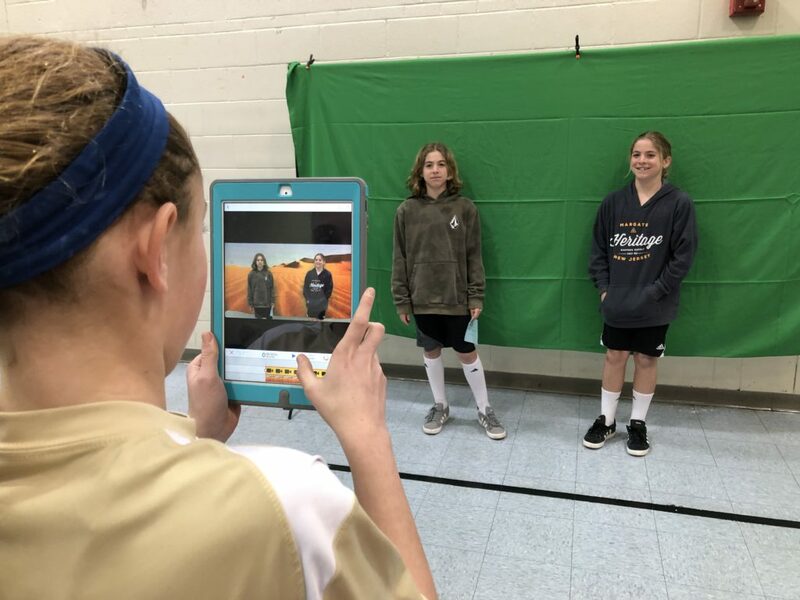 Students stand before a green screen to take pictures of themselves in far off places. 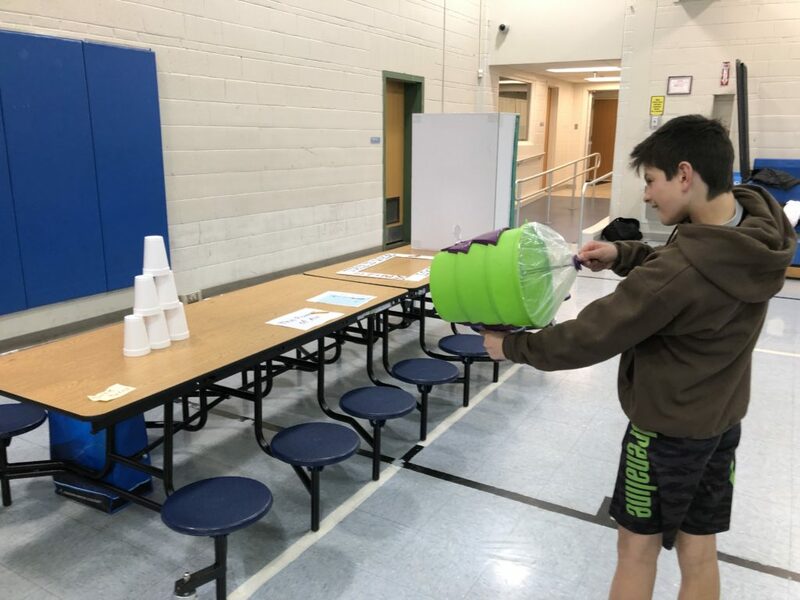 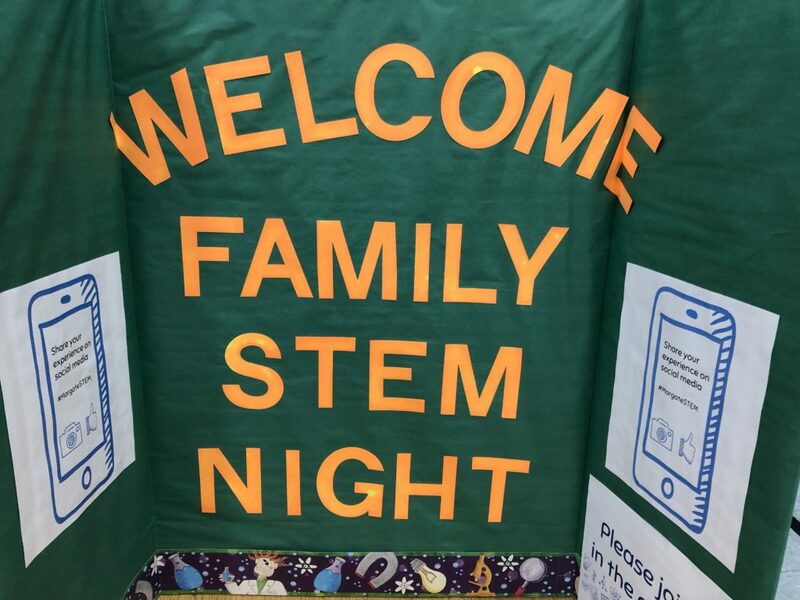 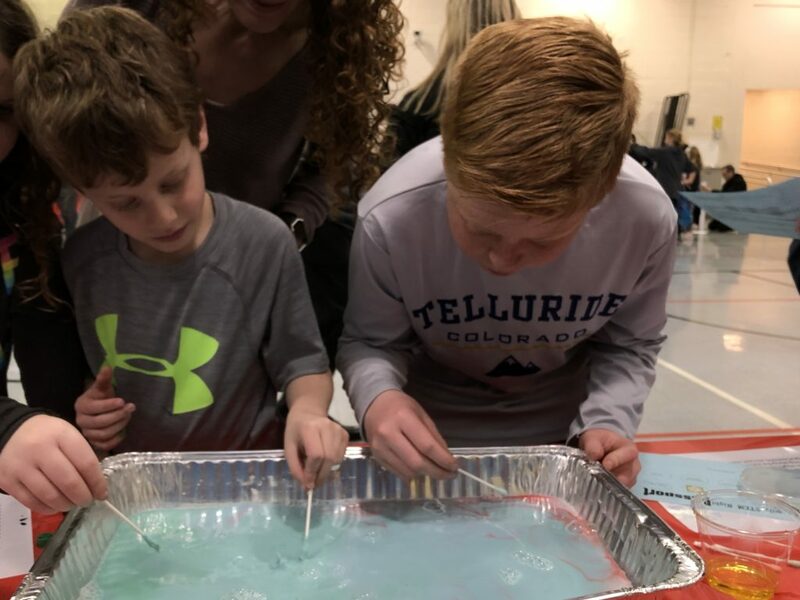 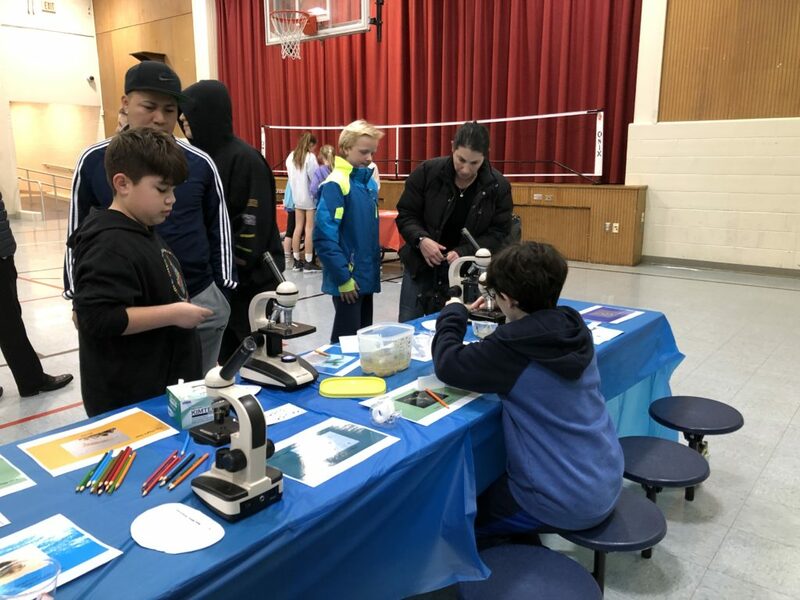 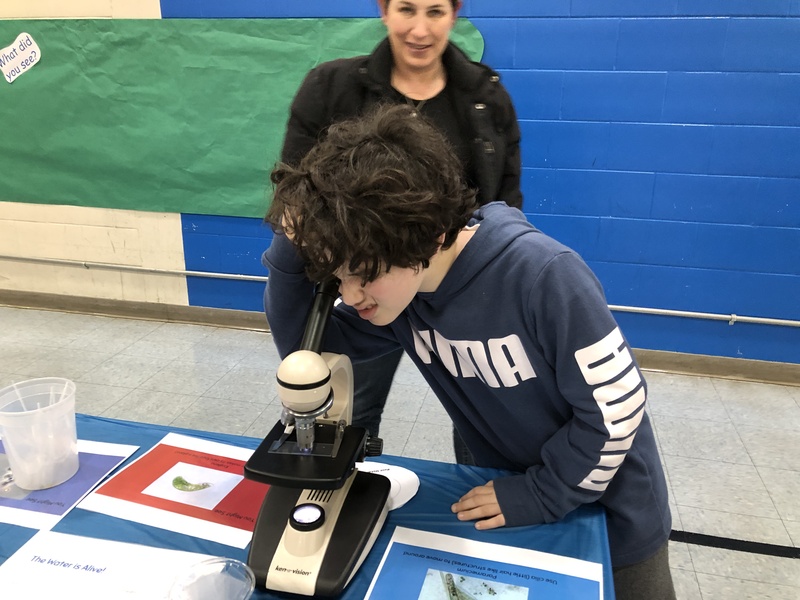 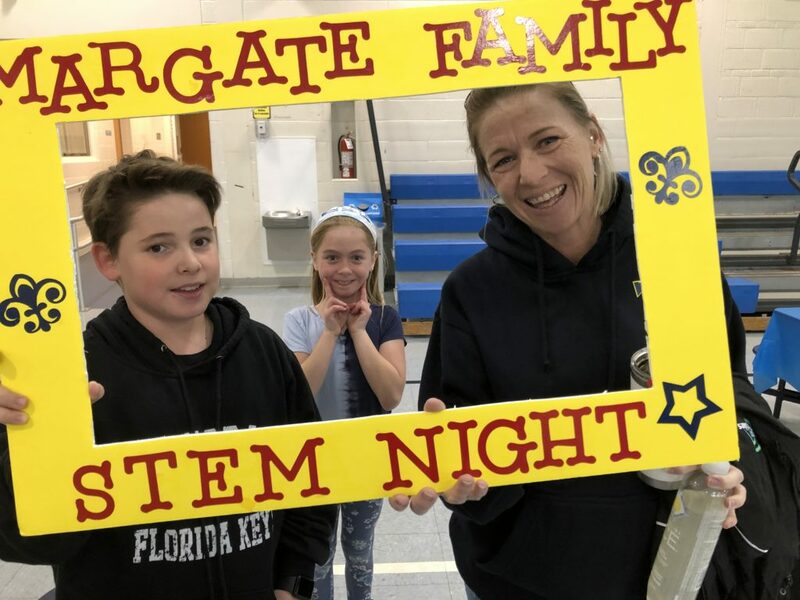 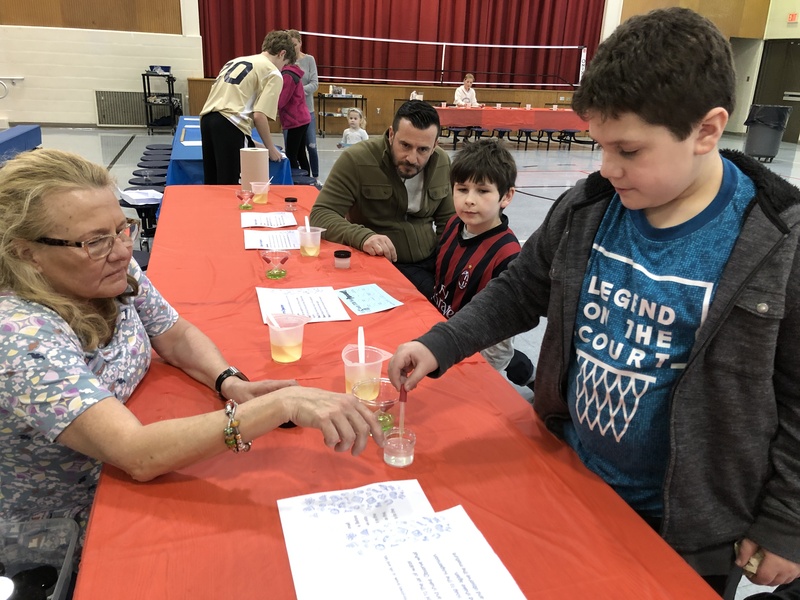 MARGATE – Fifth and sixth grade students and their families participate in the Eugene A. Tighe School’s annual STEM Night Wednesday, March 20. 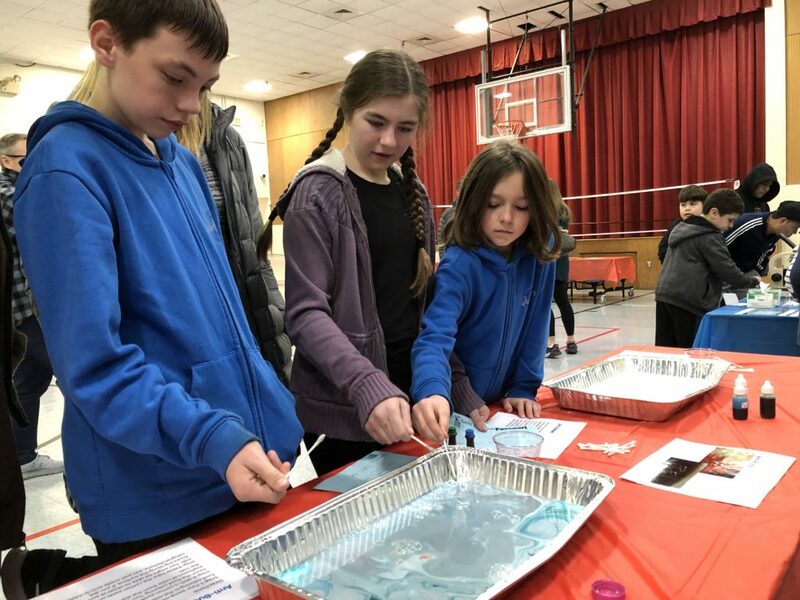 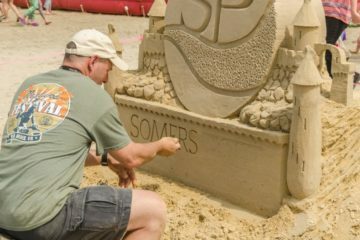 About 100 people showed up to participate in hands-on activities that were meant to be fun and educational. 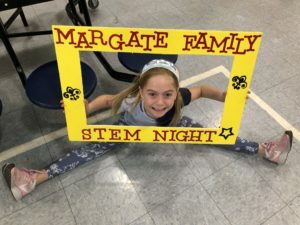 Alyssa Tragbar has some fun at STEM night. 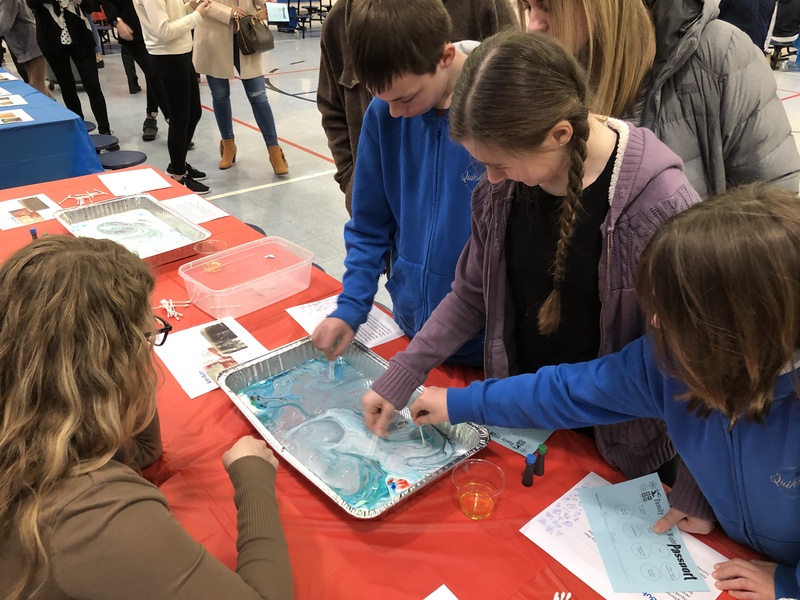 Science teacher Chelsea Crompton organized the event, which included eight stations, each designed to teach a science, technology, engineering or math concepts. 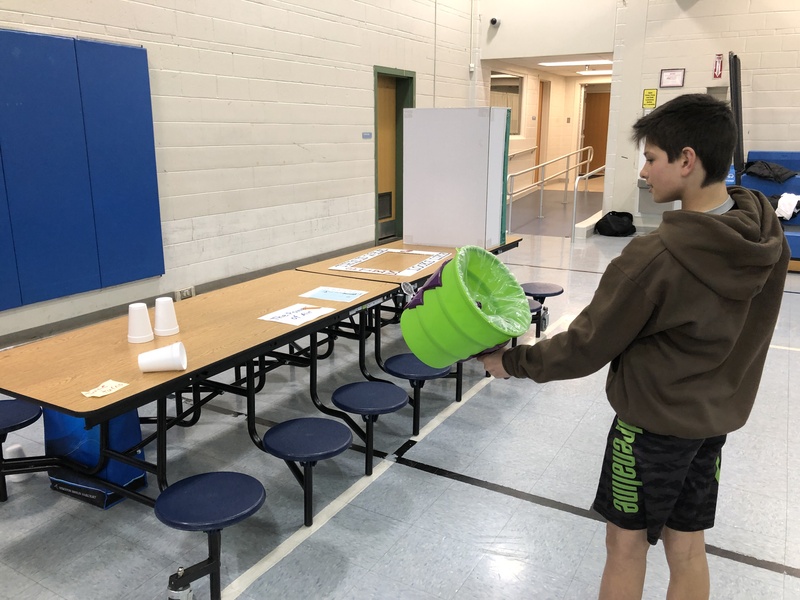 Seventh and eighth grade Junior Honor Society students assisted at each station. 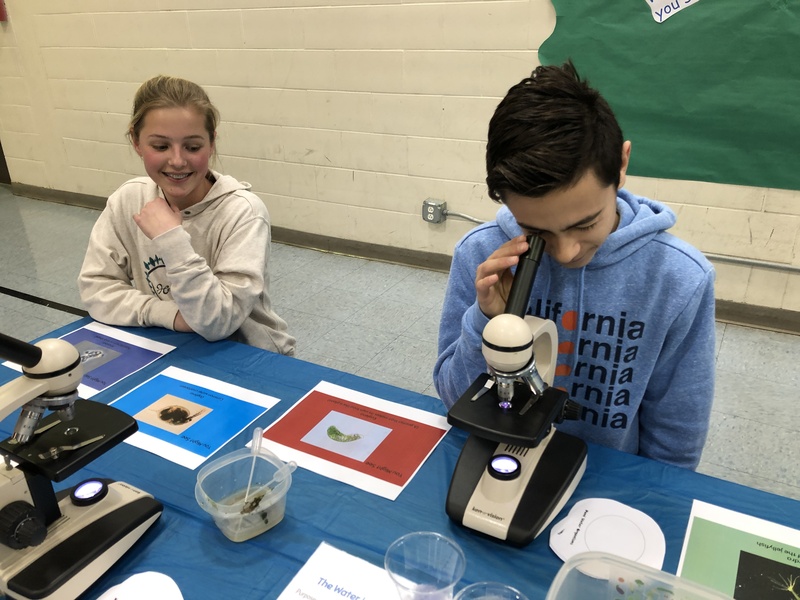 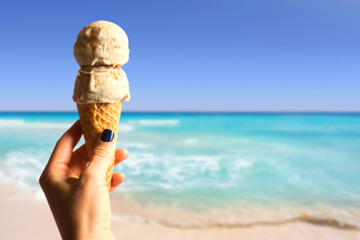 Activities included viewing organisms in pond water under a microscope, investigating the human digestive system using oil and dish detergent, and playing a math and logic game called, KenKen. 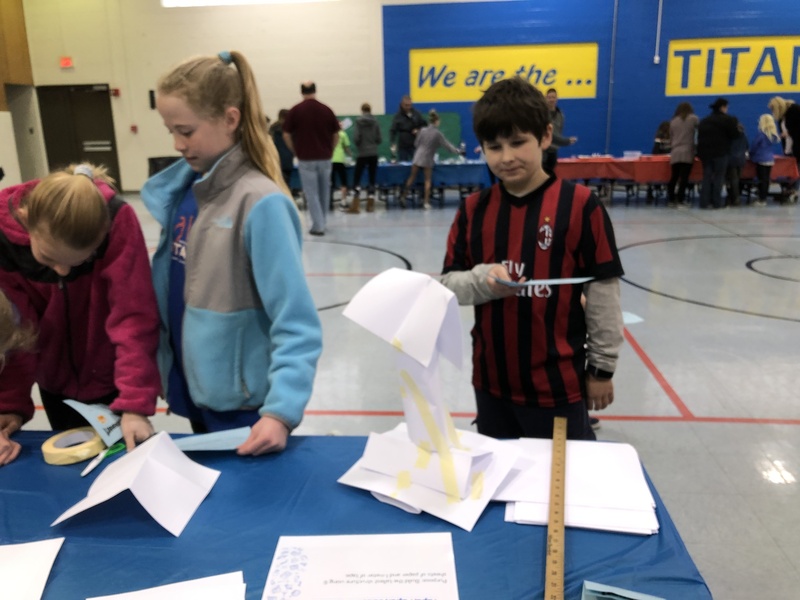 Students at the engineering table built the tallest structure possible using only five sheets of paper and some tape. 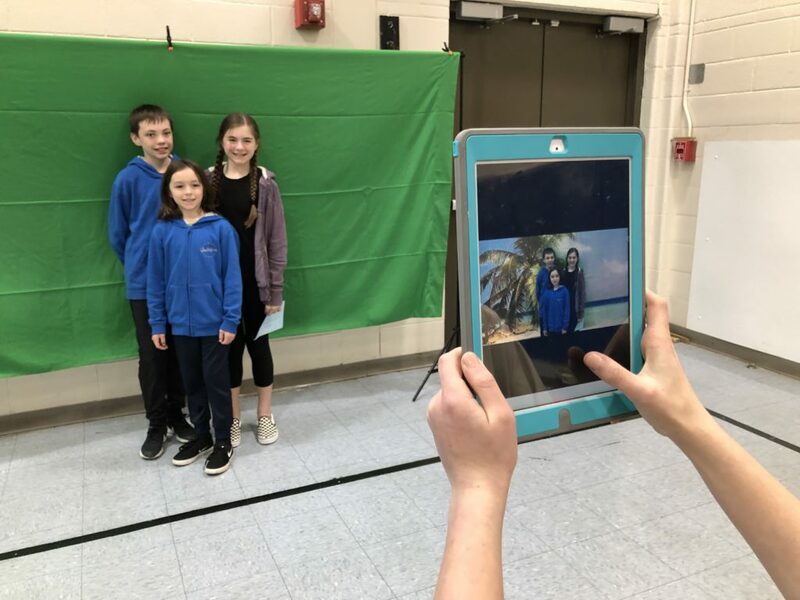 And at the technology station, students posed for pictures in front of a green screen using an “amazing” app that projected a background of far off and exotic places. 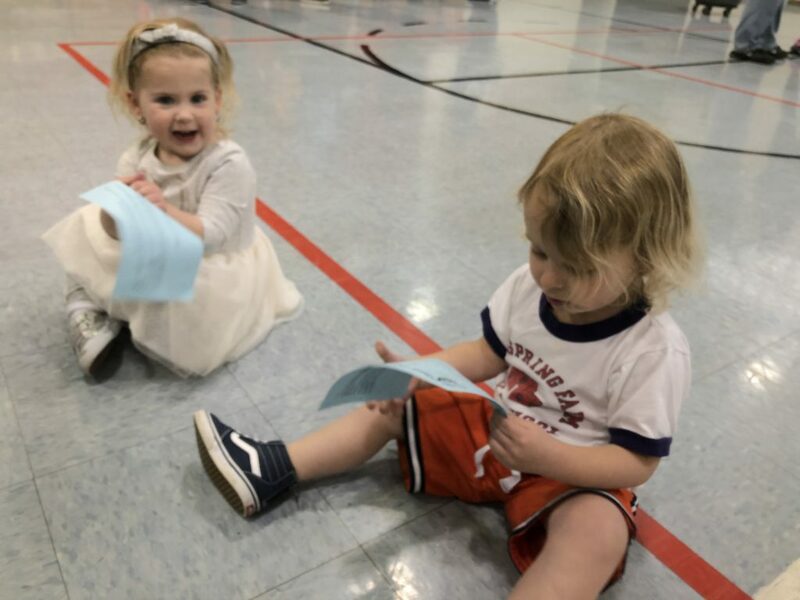 Students received stickers at each station to show they participated in the activity. 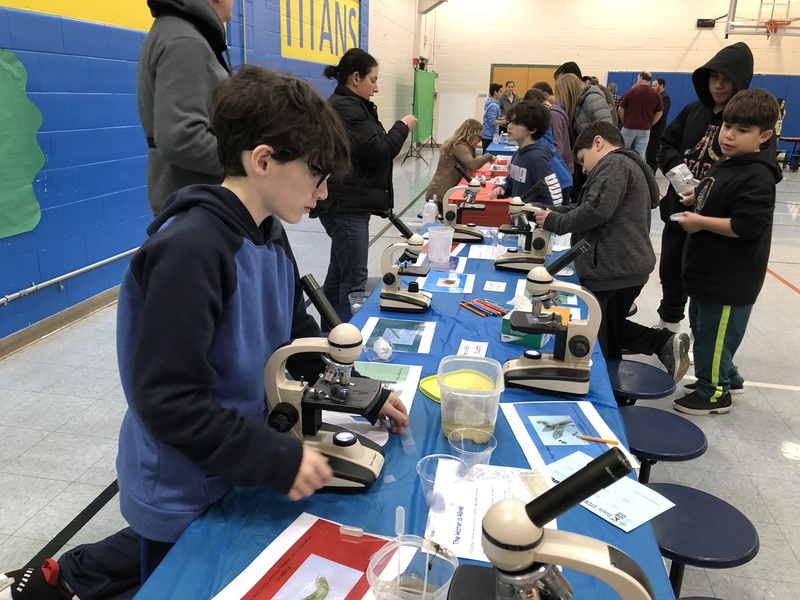 Students were encouraged to visit every station and those who turned in all eight stickers received extra credit in class.